On episode 013 of the Swallow Your Pride Podcast we have Rebecca Levy. Rebecca is an SLP currently in the role of Clinical Program Consultant for ACP’s Synchrony dysphagia program. Rebecca has worked in healthcare for over 11 years. Although she spent the first 2 years of her career in special education, she quickly realized that she had a passion for the geriatric setting and specifically working with patients with dysphagia. She spent about 8 years in a SNF setting and 5 of those years she was a Director of Rehabilitation for her therapy program but never stepped away from treating. She also spent some time doing private home health and worked on a mobile van completing videofluoroscopy. Rebecca’s current role of clinical consultant is probably her most fulfilling, helping to educate other SLPs and helping them to get superior outcomes with their patients! In this episode, we discuss ALL things exercise! Exercises, exercises, and more exercises! 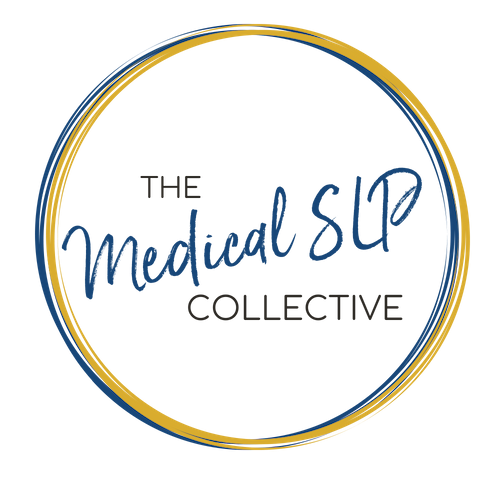 Rebecca goes through all 17 components of the MBSimp and provides evidence-based exercises for each swallowing impairment. The show notes for this episode can be found at www.swallowyourpridepodcast.com and there is a cheat sheet chart of all of the impairments, muscles and cranial nerves involved, as well as exercises for each component!